This morning this evening right now. 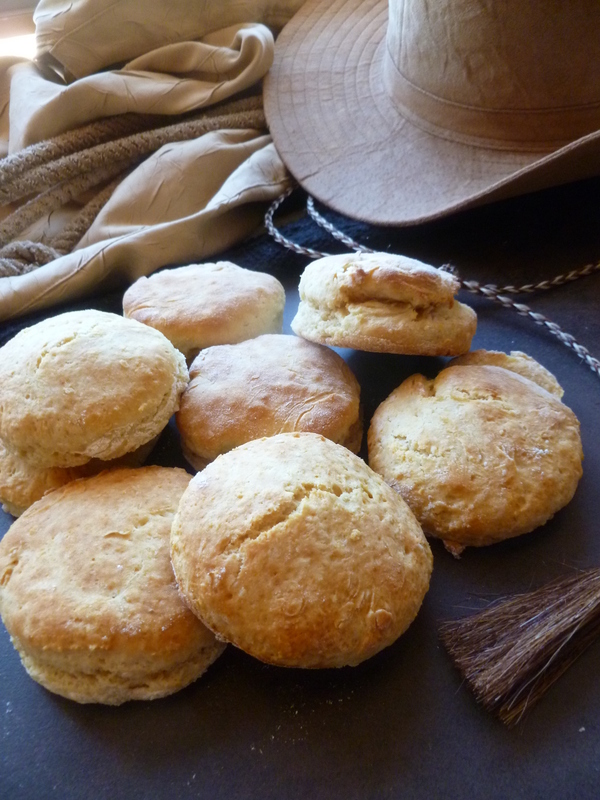 Many biscuit lovers will delight to pick up the gauntlet (or the basket of biscuits in this case) and test their capacity for doing justice to the American bread sung about in this country song. June Carter Cash and Tennessee Ernie Ford provide a rousing rendition of the song here on YouTube. This recipe for Angel Biscuits (i.e. 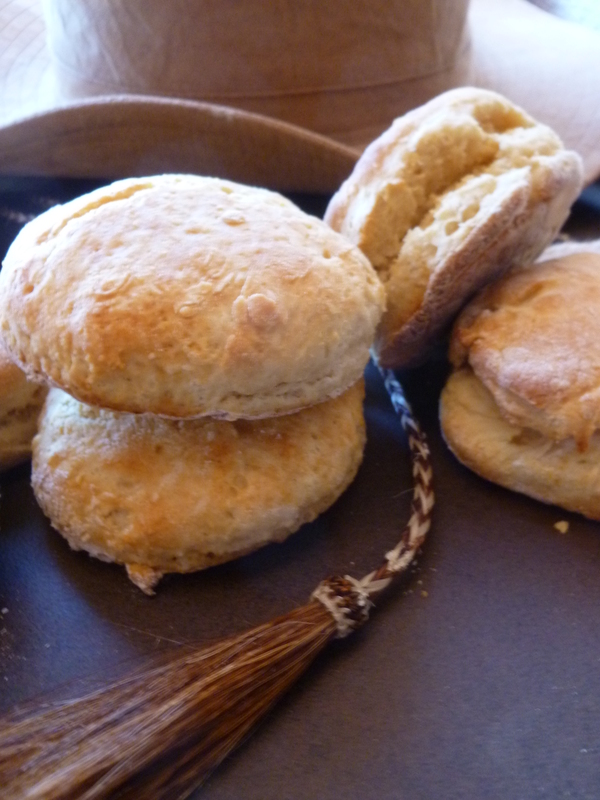 biscuits to which a little yeast is added) will provide a rousingly good version of this old-as-the-hills bread. 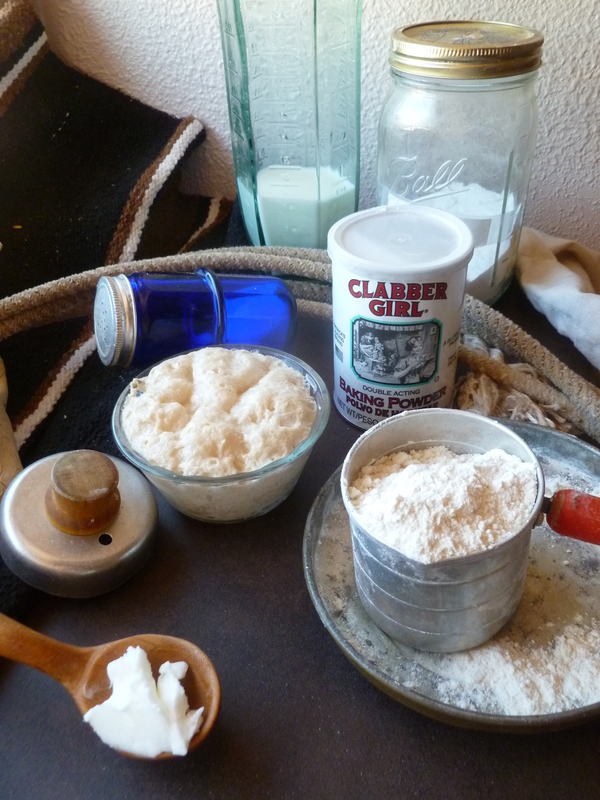 Ways of making Angel Biscuits abound and this chosen one is adapted from the formula followed at The Blue Willow Inn in Social Circle, Georgia. 1/4 cup of Solid Vegetable Shortening: Substitute butter if shortening isn’t available where you live. 1. Pour the lukewarm water into a small bowl. Add the yeast and the pinch of sugar and stir a little to help dissolve them into the water. Set the bowl aside while mixing together the dry ingredients and shortening. 2. Preheat the oven to 475 F. To the mixing bowl add the flour, baking powder, baking soda, salt, and the 1/8 cup of sugar. Add the solid vegetable shortening and rub it into the dry ingredients with your fingers until pieces of shortening are no longer visible. 3. By this time the yeast and water will have formed a foamy tan mixture. Add the milk and then the proofed yeast to the other ingredients in the mixing bowl. Stir everything together just until they are combined. The dough will be quite soft and sticky and this is how it should be. 4. Sprinkle the pastry board liberally with flour. Scrape the dough out onto the floured board. Flip it once to coat the outside of it with flour and sprinkle a little more flour underneath the dough and around it on the board. Keep the fiddling with the dough to a minimum. 5. Pat the dough out with your fingers to a thickness of about 1/2-inch. Dip the biscuit cutter in flour each time before using it, cut out as many rounds as possible without reshaping the dough. Transfer the rounds to an ungreased baking sheet. 6. Gather up the remaining dough. Knead very briefly just until it forms a cohesive ball and pat it out again to a 1/2-inch thickness. Cut more biscuits in the same way. 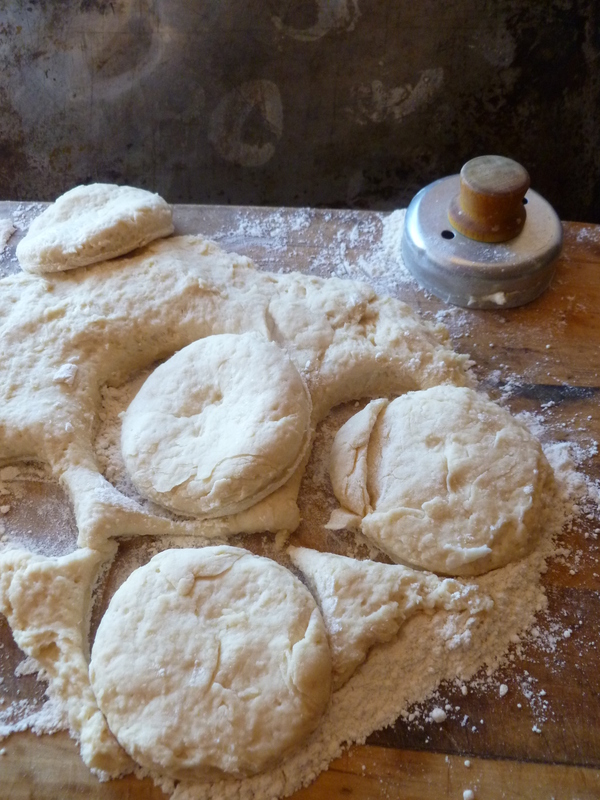 If any dough remains, gather it up into a ball, pat it out and cut out another biscuit or two. 7. Bake the pan of biscuits on the middle rack of the oven for 10 minutes. Ovens don’t all heat alike. 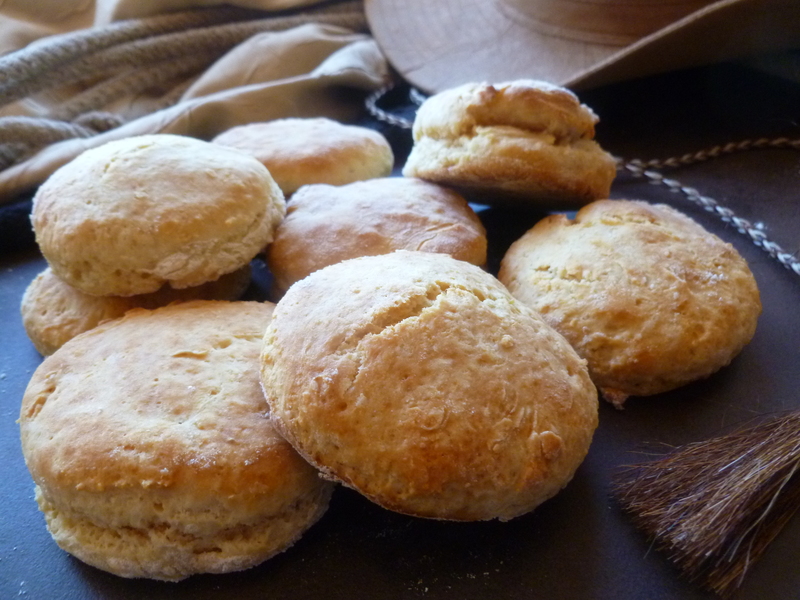 Check the biscuits after 8 minutes to make sure their bottoms aren’t browning too quickly. In an oven that heats with extra enthusiasm, 9 minutes may be enough baking time. The baked biscuits should be lightly flecked with gold on top and lightly golden on the bottoms. A Note: In the Dinner Menu, A July 4th Dinner under the Desert Sky, Grilled Buffalo is served on these Angel Biscuits. 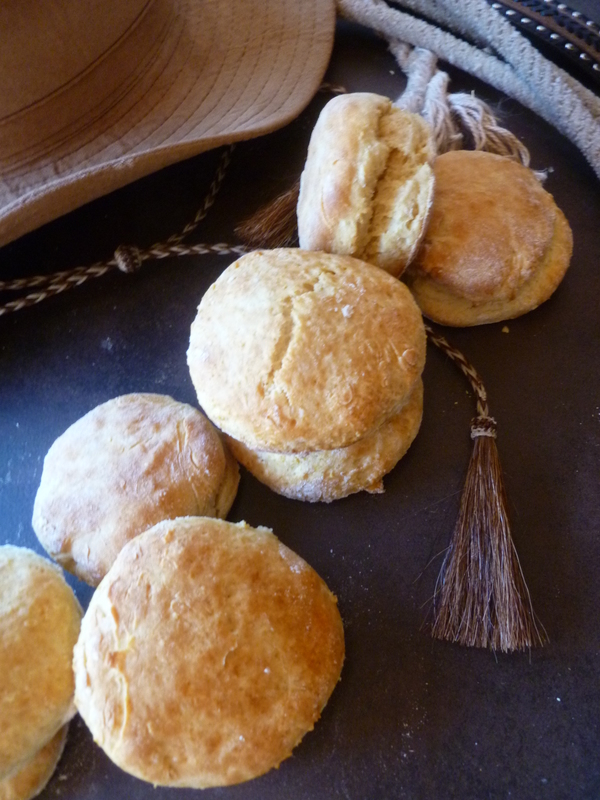 This biscuit recipe is an adaptation of one from the Blue Willow Inn in Social Circle, Georgia. An Invitation: You are invited to request suggestions from the diplomatickitchen for your own menus for any occasion by clicking on the feature ‘Ask and Tell’ here or in the Menu at the top of the page. Do you have a menu concept with a gap or two that wants filling…or perhaps you are an expat looking for ways to adapt your recipes to what is available in your temporary home…maybe you are just looking for a new way to use a familiar ingredient or would like suggestions on how to adjust quantities of a recipe from the diplomatickitchen for smaller or larger groups…Replies will be published in ‘Ask and Tell’ or sent by email if you prefer.